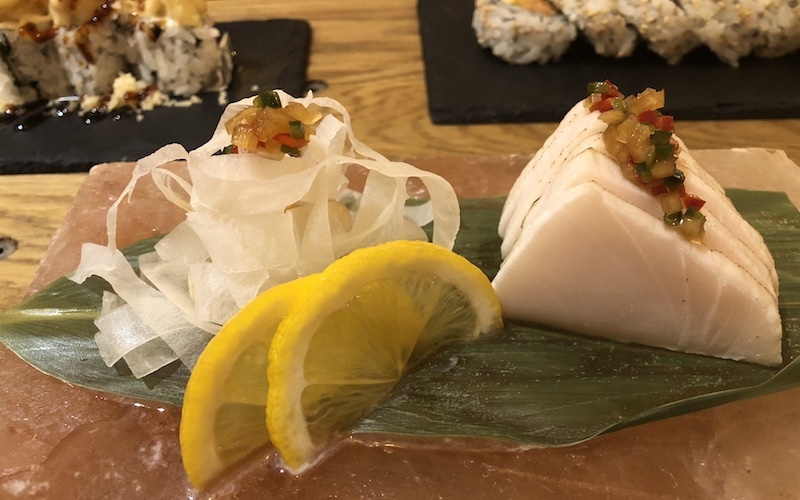 We love discovering a new neighbourhood gem and this weekend we checked out a new Japanese spot on Chapel Market called Hot Stone. 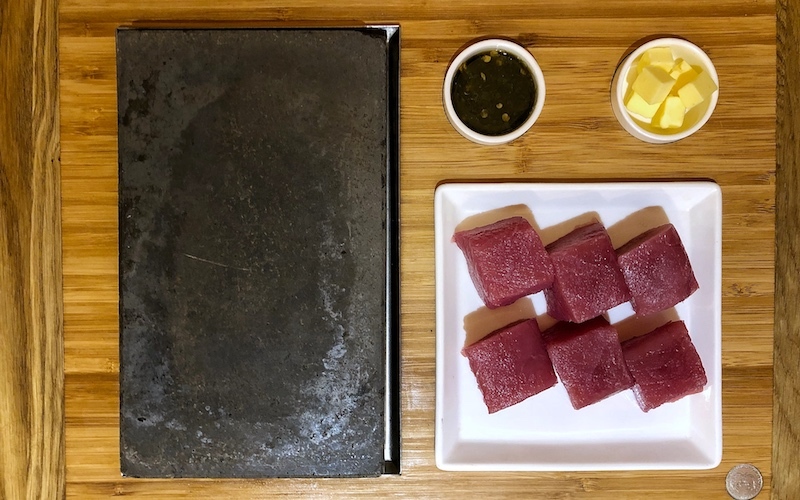 It opened just three weeks ago and specialises in meat and fish dishes that you cook at your table on – yes, you guessed it – a hot stone. There’s also a good selection of sushi, sashimi, maki rolls and snacks as well as a bibimbap section. Like all authentic Japanese restaurants, Hot Stone is serious about its seafood. We kicked off with the seared butterfish sashimi, a delicately flavoured fish, so fresh and soft it melts in the mouth. Other highlights included a punchy hamachi carpaccio drenched in jalapeno and truffled ponzu sauce and an unagi (that’s eel) maki roll. We selected tuna for the hot stone which came as six raw meaty cubes and a chilli dipping sauce You just add a little butter to the hot stone, which melts within seconds, then get the tuna on there, season with a little salt and pepper and cook for however long you like – we just did it for a couple of minutes each side meaning that the inside was still lovely and rare. 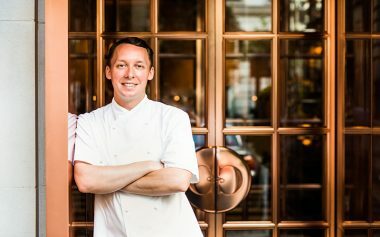 The restaurant is owned by two very friendly brothers; Padam the head chef is Japanese and trained in Japan before doing the rounds at London’s best sushi restaurants, so it’s safe to say he knows his stuff. There’s the usual Japanese greetings from the chefs as visitors are welcomed and waved off, counter dining and a good sake list with the option of a tasting flight – all the ingredients for a great little Japanese dining jaunt.